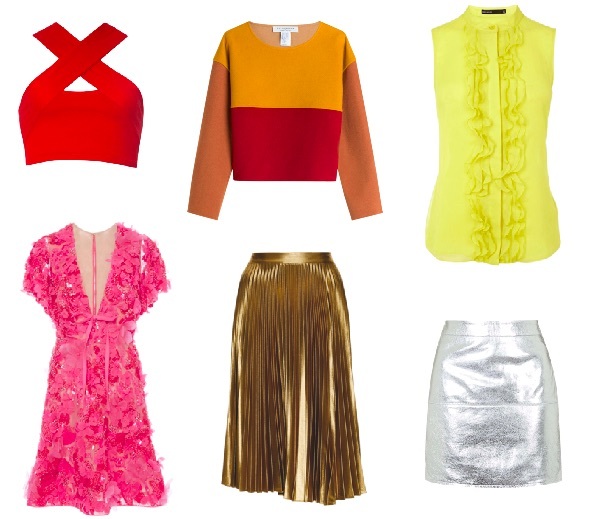 Style tips: what colors make you look slimmer? They say that black color makes you slimmer and white color makes the opposite. Is it true? 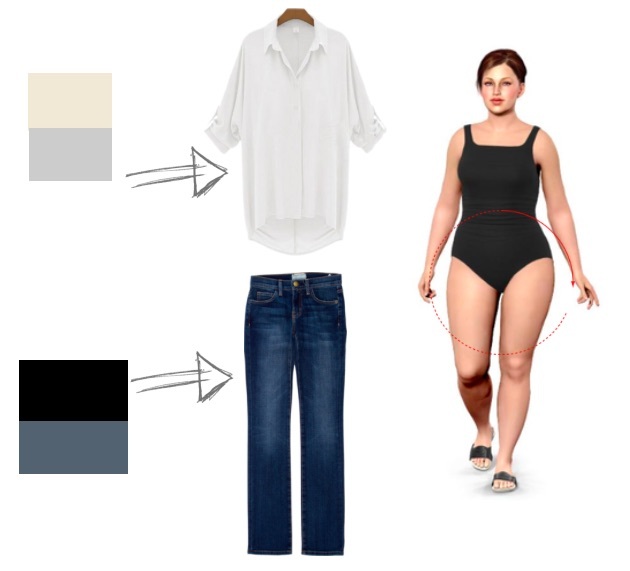 What other colors helps your body to look slimmer and what colors only add you some extra weight? We would like to give you some style tips on this topic from italian stylists. For sure many of you already know that dark colors make an object look smaller, and bright colors do the opposite. This rule works in painting as well. And also you need to know this rule when you choosing the outfit. If there is some problem body area (for ex. : big hips or belly) the easiest way to hide the problem is to choose dark clothes for this body area. And vice versa, if you want to make some body area look bigger then you need to use bright and vivid colored clothes which make the body look wider. Would you like to know more tips on how to choose right colors for you or another person? How does this style tip work? 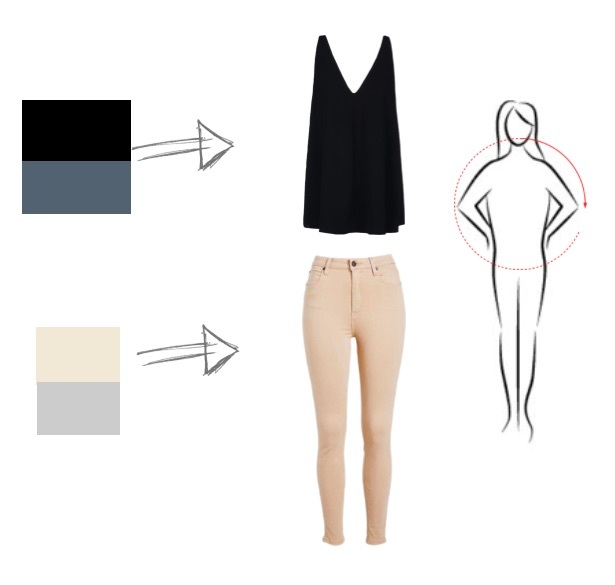 use dark colors for the bottom clothes and bright colors for the upper clothes (black trousers and white top). If you have wide shoulders and narrow hips, you need to use dark colors for top clothes and more bright and vivid colors for bottom clothes (black top and white trousers). If your body type is more rectangular (shoulders, waist and hips have the same width), you need to make an accent on your waist. For that you shouldn’t use black color, which make the body look flat. It is better to use vivid and bright colors. 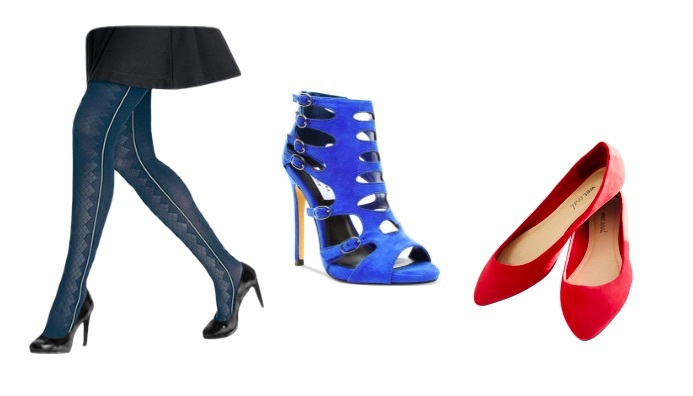 If belly is the only problem area of your body, make an accent at your legs by wearing colored tights or shoes. If you want to make accent at your slim waist you can wear dark colored belt (black, dark blue, brown) with bright clothes. White, yellow, orange, vivid red, purple, pink, all shining colors.